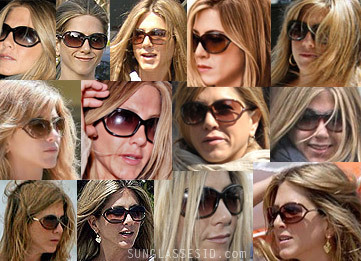 Jennifer Aniston is wearing Tom Ford Jennifer FT0008 sunglasses in the film The Bounty Hunter. It looks like the Champagne colored version, although it could the Rust Brown transparent color. These sunglasses from Tom Ford are one the of the favorite pairs of Jennifer Aniston: she has been spotted with these on many, many occassions, see collage on the left. 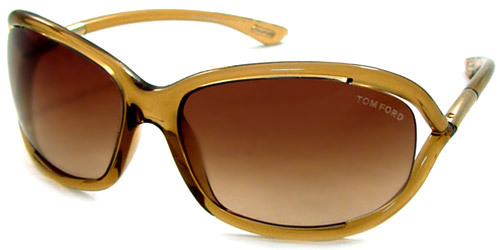 The Jennifer FT0008 model is a slightly different version of the Tom Ford Whitney which is also very popular with celebrities.